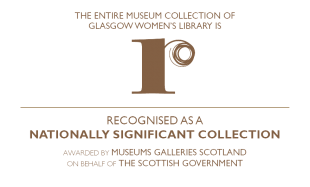 Glasgow Women’s Library receives financial assistance in the form of ‘ring-fenced’ grants for specific projects from many sources and we could not undertake much of our work without this vital support. Volunteer Development Programme – The Robertson Trust, the Wellbeing for Longer Fund and Historic Environment Scotland. Glasgow Women’s Library does not receive full core cost support and needs to constantly fundraise to meet day-to-day running costs such as utility bills. Please help to keep GWL running by becoming a Friend or making a donation today.